DC Comics should be applauded for the risk that is New Superman #2. Our new Chinese Super-Man comes into his own just as he begins to leave the lab in which he was created. This unusual Rebirth issue gives life to the hunger for western culture in China. The satiric notion, how the Justice League of China is coming together, is a soft way to help readers become accustomed to the ‘oddness’ of our new Chinese Super-Man, Kenan Kong. “New Super-Man #2, Made in China, Part Two,” written by Gene Luen Yang with art by Richard Friend and Viktor Bogdanovic, begins with our new Super-Man (Kenan Kong) experiencing the “craziest day of his life.” The new Super-Man must combat the New Justice League of China. Since Kong has been imbued with the powers of Superman, he hasn’t been shy about using them, however irresponsibly. The new Bat-Man and new Wonder-Woman of China quickly subdue Kong’s new powers in an effort to teach him a lesson, just as our villain, Sunbeam, attacks. As Yang is beginning to introduce the world to his new and ambitious endeavor, readers understand quickly that Kong has a very long way to go before transforming into the highly beloved Clark Kent of America. Kong did not earn his powers nor was he born with them. 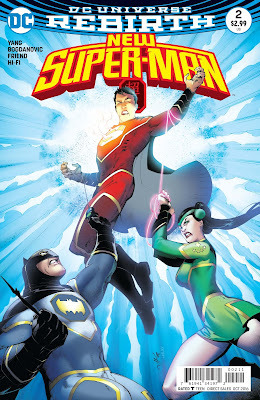 Our new Super-Man is rude, arrogant, disrespectful to his superiors and peers, impatient, and irritating. 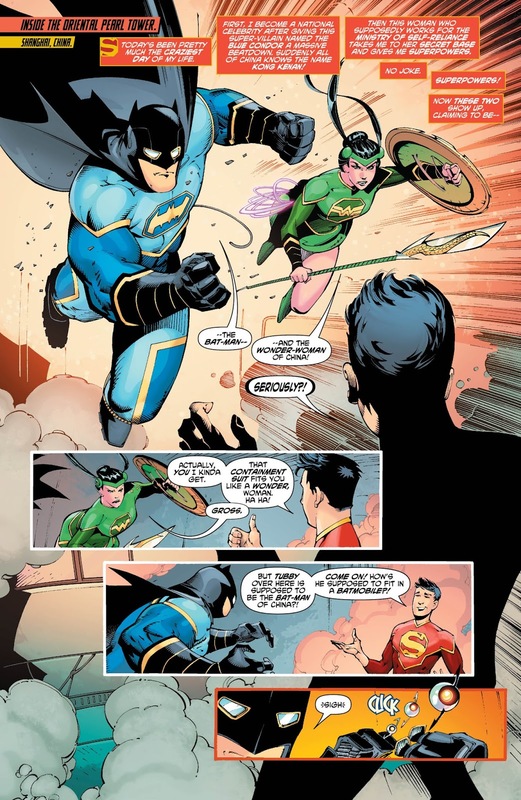 Lang uses Kong’s personality to remind readers that the new Super- Man is an upstart and hopefully will mature as he gains more access to his new powers. 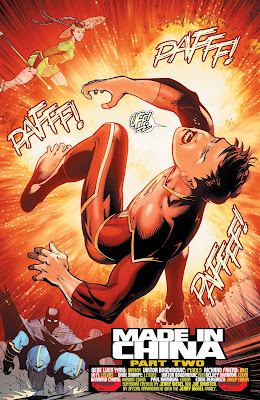 New Super-Man #2 expresses a bit of background on Kenan Kong. Readers learn that Kong’s mother has passed away and that is father is rarely around. Yang frequently uses short conversations between Kong and his father to show their staggered relationship. ‘Studying late,’ seems to be a good enough excuse to keep his father content on his son’s complicated teenage life. It turns out that Kong’s father has been preoccupied with investigating the agency responsible for giving Kong his new Superman-like powers. I expect the story arc to expand on this investigation, and to deliver a bit more on Kong’s parents. THE VERDICT: Comic book fans world-wide can appreciate the risks DC is willing to take with the creation of New Super-Man. The new DC Rebirth Universe continuously lives up to the idea that anything can happen in this new universe. Additionally, Kong’s personality traits, along with his family history, does help create some redeemable qualities and expectations in our new Super-Man. Kong does have some redemption as he deals with excruciating pain to help his teammates. It is a tough couple of days for our new Super-Man. 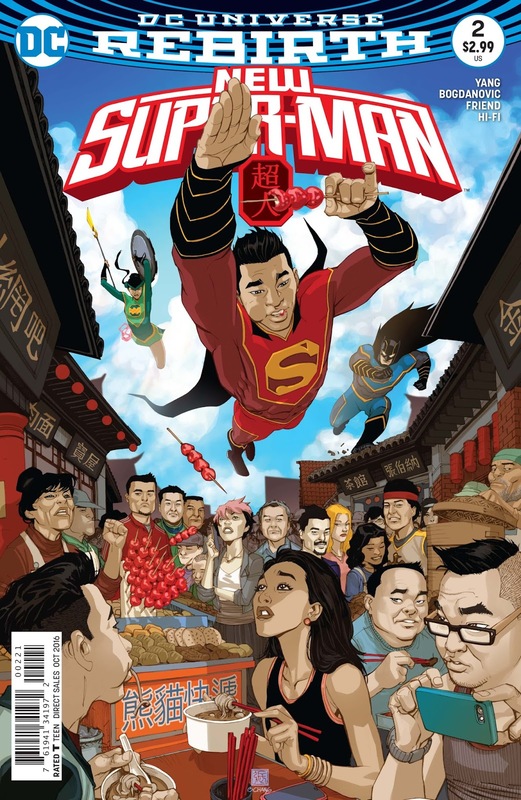 I am very excited to see where this comic goes, how Kong matures, and New Super-Man’s reception in China.